From attending her first Opera Australia performance at the age of six, Australian Jennifer Condon was determined to live in the world of opera. By the age 11 she had set her sights on becoming an opera conductor. Fast forward to the present, Jennifer Condon works as Souffleuse (prompt) at the Hamburg State Opera, under renowned Conductor Simone Young, a position she has held for three years. By the age of 27 she now has a repertoire of over 40 operas in her command. To date her greatest project and abiding passion is to present a world premiere recording and production of Australian composer Peggy Glanville-Hick’s Sappho, composed in 1963 in her centennial year, 2012. Condon having gained the rights from the Estate of Peggy Glanville-Hicks in 2009 to work on the composer’s final opera, Sappho and enrolled in a PhD at the University of New England, Australia. Largely due to the enthusiasm and support of the late James Murdoch, Jennifer has now been granted the rights to both the world premiere recording and production of Sappho. 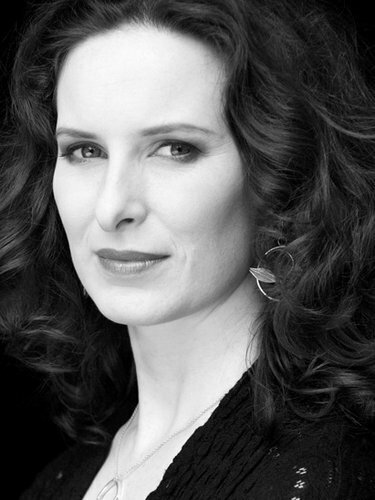 Jennifer moved to Europe in 2005 to study operatic conducting in Vienna. She attended masterclasses throughout Europe and worked as a free-lance vocal coach in Austria and Germany. Jennifer attained her A.Mus.A and L.Mus.A in Piano and completed a Bachelor of Music Studies at the Sydney Conservatorium. During her undergraduate years, she studied operatic conducting with Vladimir Vais in Melbourne, was assistant conductor for Melbourne City Opera’s La boheme and conducted The Tales of Hoffmann for the Sydney University Arts Festival. Music scholarships for her early education at The Illawarra Grammar School and Wollongong Conservatorium and Kambala in Rose Bay assisted with this course. Kambala accelerated Jennifer’s music education and organised mentoring at Opera Australia as part of her regular curriculum. From this time, Jennifer has worked closely with Simone Young, a strong influence in her development.